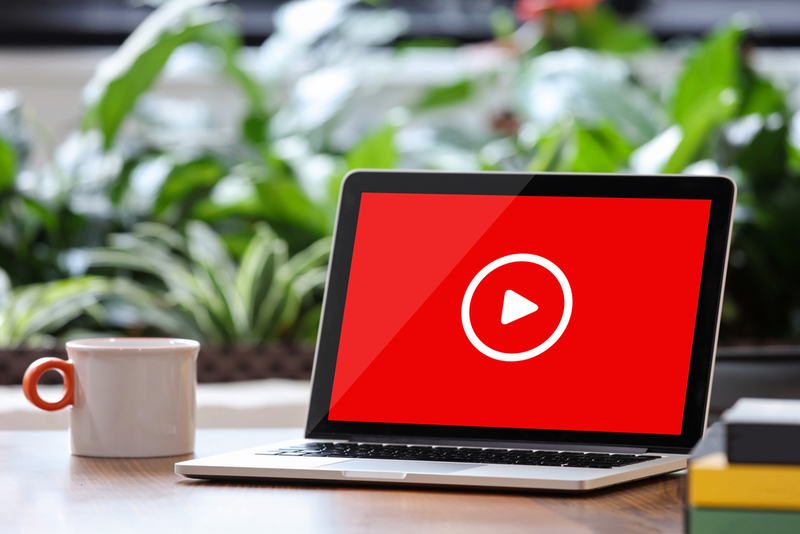 If you haven’t yet included video in your marketing campaigns, then there is something you need to know: video is huge, and it’s only going to get bigger. In fact, in the coming years, video is going to account for around 80% – eighty per cent! – of internet traffic, which means, simply, that it’s not an area that you can afford to avoid. But if you’ve never made a video before, then it’ll be understandable if you don’t fully know what you’re doing. Below, we take a look at ten rules you need to follow to ensure that it’s a success. Now, yes, you may be eager to sell your products and services, but this isn’t what video marketing is about. If you just want to sell, sell, sell, then you’ll be going down the traditional video advertising route. And really, who’s going to voluntarily sit and watch your video if it’s just advertising your company, when there are so many other videos to choose from? So, yeah, don’t sell. Instead? Tell a story. Make it worth your viewers while. It can be about anything, really; the key part is that your company is a supporting character, not the star. The story is the star. This is your chance to get creative and do something new and exciting. Video marketing is not the right space to play it safe! Make sure your video is lively, entertaining, something that you’d want to watch even if it had nothing to do with your business. The rules on what you can include are much laxer than regular advertising. You can even get a slightly risque, as long as you don’t go overboard and it’s in keeping with your company. You could have the greatest storyline ever told, and have every aspect of the video watertight, but if it looks like it was produced by amateurs, then it’s unlikely to be a success. Just take a look at the popular videos online, and you’ll notice that the standard is always high. If you’re making it in-house, then make sure you contact a company that specializes in video rental equipment. Alternatively, you can outsource the work altogether, and let the professionals take care of it. Viewers are likely to turn off any video that looks shoddily produced before they’ve had an opportunity to hear what you want to say. However, while it’s imperative that it looks good, remember that you’re not trying to win any Oscars. It’s much better to get the general tone and look of the video watertight, and then get it out there. Every day you waste trying to make it perfect is a day of reaching new customers lost! This isn’t going to be the only video you make, so get it out there, and see how it fares. You might find that it goes viral even though you didn’t think it was quite perfect! As we said above, you’re not trying to win any Oscars, so don’t go all “feature film” on your viewers. People’s attention spans are notoriously short, and they’re only getting shorter as they become more immersed in the digital world. People can barely sit through movies by award-winning directors without taking a break; they’re not going to stay with your video for too long. Keep things tight and concise. If you find that you still have much to say, that’s your invitation to make more videos, not try to cram in as much as you can to just one. When you built your company, you created a company culture, a voice and way of being that flows through everything you do. This voice should be present in your company’s video. You can poke fun at your reputation, slightly – it’s more open than in your general marketing – but it shouldn’t be a million miles away from your branding. It’ll only confuse people if it is! Think: What Does the Viewer Get? Before thinking about what you’ll get out of the video, think about what the video will get. By taking a few moments to make sure there’s something there for them, you can ensure that there’ll be a reason for people to click and watch! Of course, it’s no good going through the process of making a video if no-one’s going to see it! In preparation for your video marketing, make sure you’re working on your social media channels, keeping them updated, and boosting your follower counts. The more people that you can put your content in front of, the more chance that it’ll get shared among people, and then the more chance it has of going viral! There are times when you can get serious with your videos, but they should be reserved for when you’re making a specific point like you’re announcing a change in the company that will lead to a better world. That kind of things. Generally, you should be keeping things light. There’s enough doom and gloom in the world; people go online so they can distract themselves from the outside world, not bask in the misery! As such, a whimsical and comical approach is best. Ultimately, remember what you’re making your video for: the internet. And of course, on the internet, there are a million and one things that can grab a person’s attention. If you want yours to get noticed in a sea of competition, then you need to think outside of the box, and make yourself heard. You shouldn’t worry about misfiring from time to time, so long as you’re not misfiring in a controversial way; a video that isn’t a success is never, ever remembered (unless it was truly awful), and you’ll have plenty more opportunities to get things right. Be bold, go big, and you might just find that you transform your marketing approach moving forward.